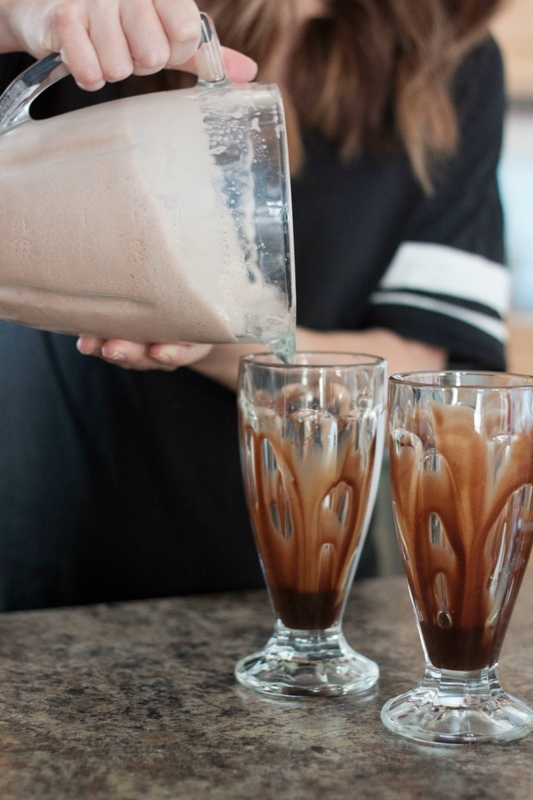 We absolutely love using fairlife in our home for all your milk needs! Fairlife is packed with 50% more protein and 30% more calcium versus regular milk and is also packed with delicious flavour! You can read more about why you should make the change to fairlife in your families daily life HERE. We use it for every day cooking/baking needs and of course on our cereal because that is a staple in this home. It is also perfect for creating yummy summer treats! Being pregnant I seriously crave sweets like crazy. 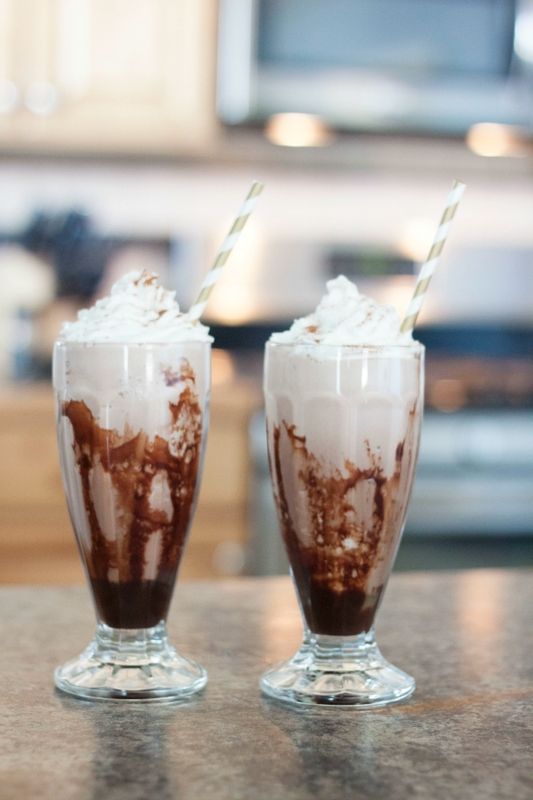 So I came up with this creamy, delicious and chilly treat for summer using fairlife. Also, since the milk contains 50% less sugar than regular milk, I don't feel as guilty downing this cool glass of chocolately goodness! 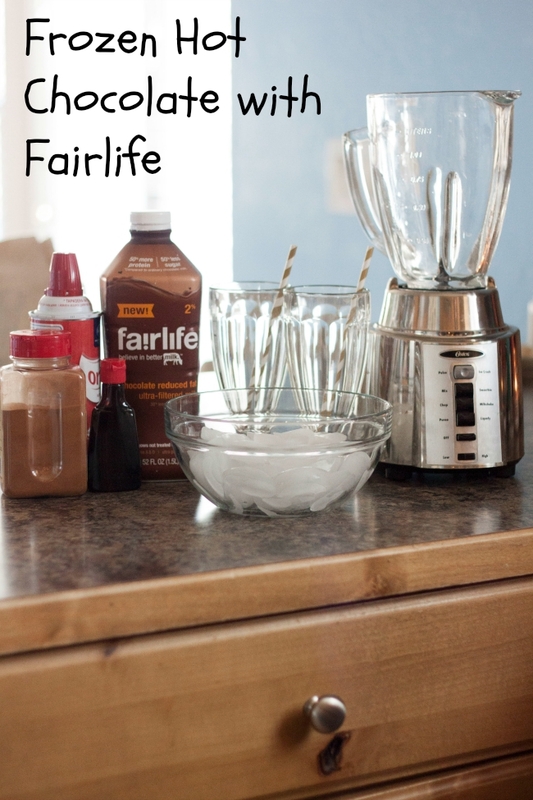 - First add the ice to your blender followed by fairlife chocolate milk. 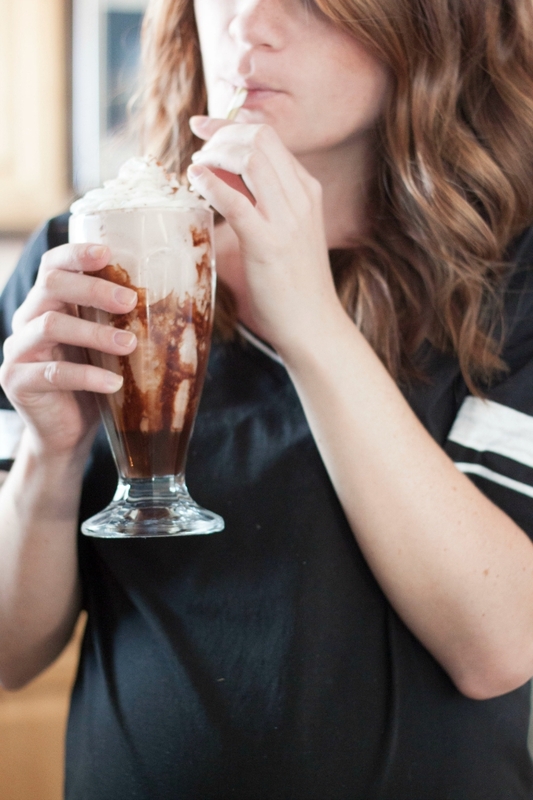 - line your glasses with your choice of caramel sauce or chocolate sauce OR both! 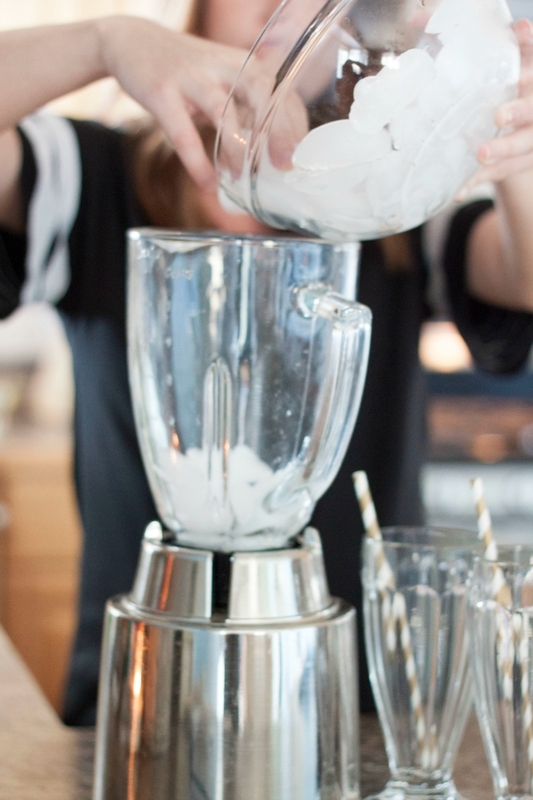 -pour mixture into your glasses and add your whipped cream topping. - add a dash of cinnamon on top to add a little spice! 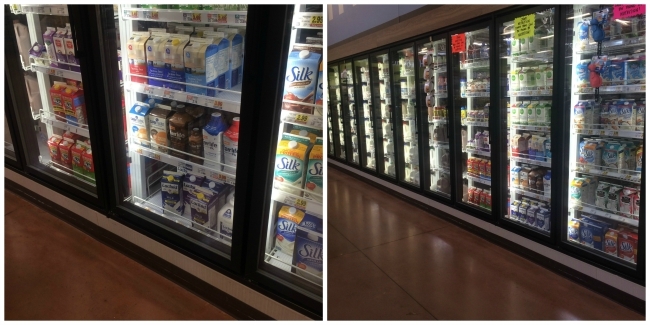 You can find fairlife at your nearest Kroger banner store! We are lucky and have a Smith's Market Place right near us! So when I reach for fairlife and realize someone has put the carton back empty I can quickly hop in my car and go grab more! You can find your nearest Kroger banner store HERE and don't forget to check out fairlife on Facebook HERE for more information and lots of yummy recipe recommendations! 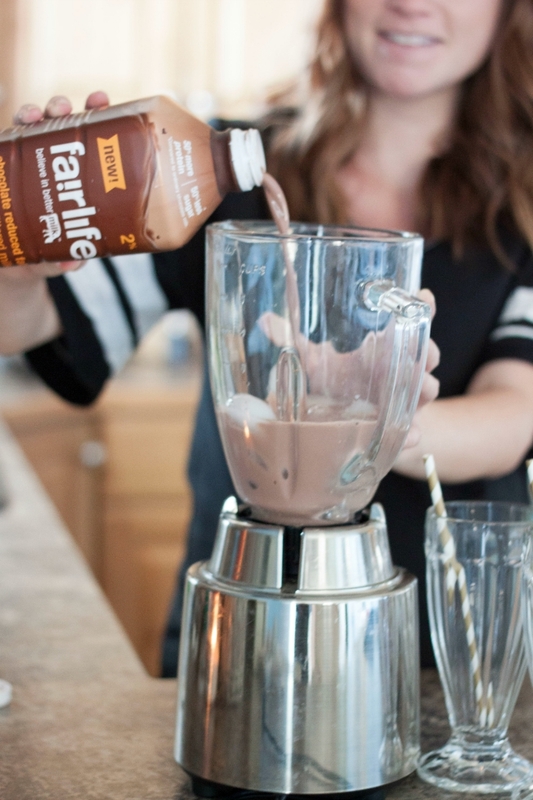 I would love to hear what your favourite recipe ideas including fairlife are! How will you make the switch and include fairlife in your daily routine? Yummy! This looks delicious! And I love how gorgeous it looks in the glass, too!